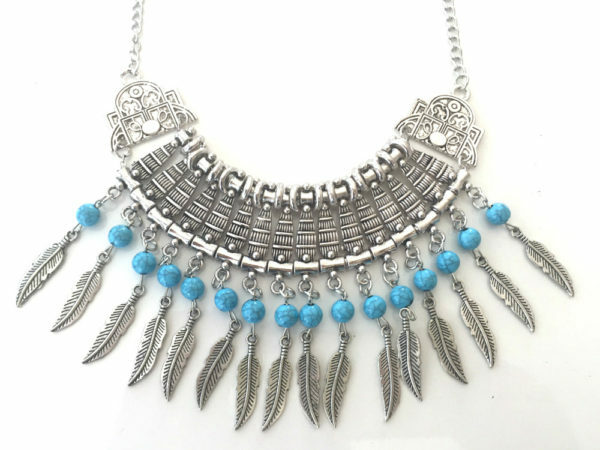 Tags: boho chic, boho jewelry, silver statement necklace, statement necklace, tribal necklace. 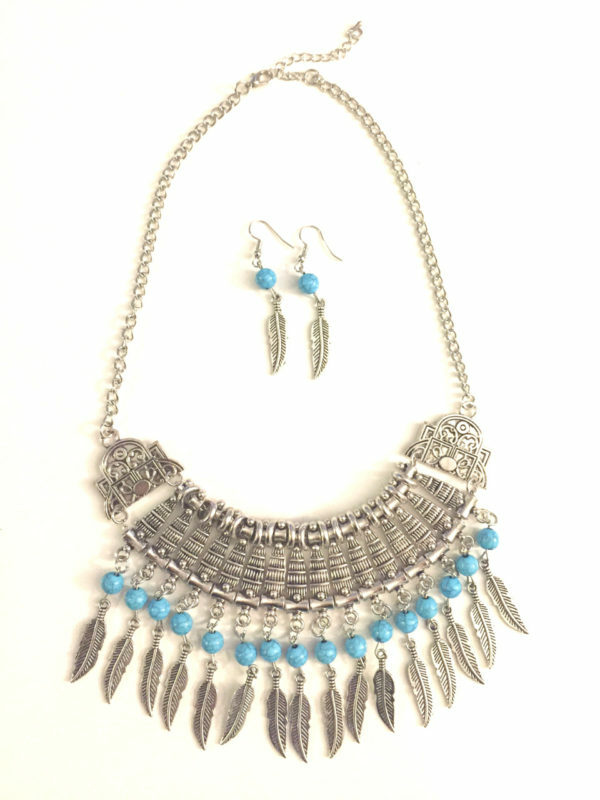 Our Cheyenne Tribal Statement Necklace embodies all that is boho chic. It’s all about the details: an intricate pattern of pieces stranded together creates the bib, along with detailed shaped feathers strung across the bottom, and turquoise beads to give that finishing pop of color. 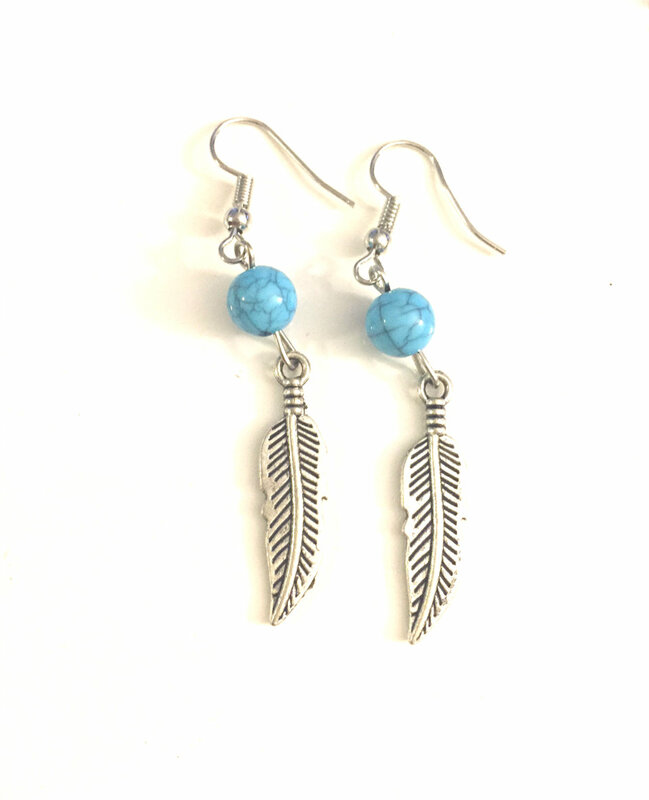 This pieces makes the ultimate statement for any boho-esq diva!